ICONOCLASM : The willful destruction of a religious painting or icon. Religion today is associated with all the ills of society: wars, abuse & corruption. 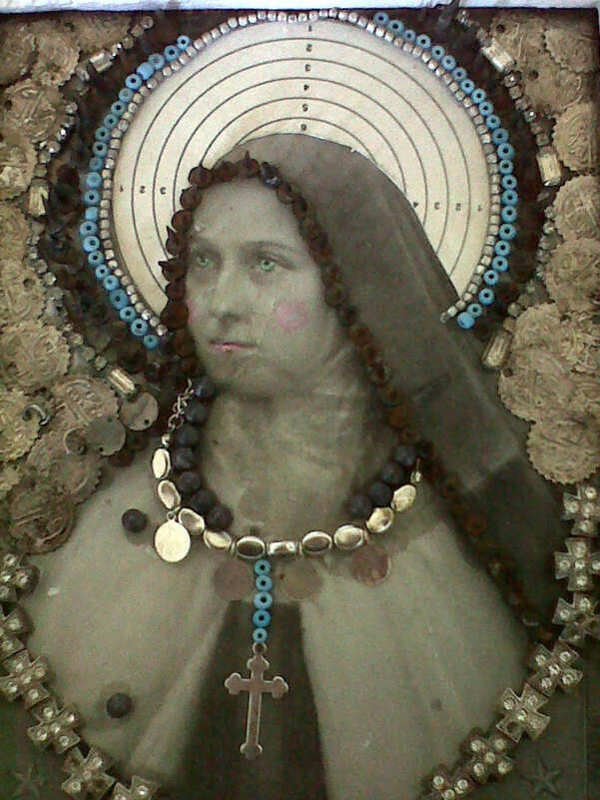 By using targets, bullets & nails, I wanted to put a 'thought provoking twist' upon these beautiful religious icons, encouraging the viewer into thinking how religion plays a major part in many wars. 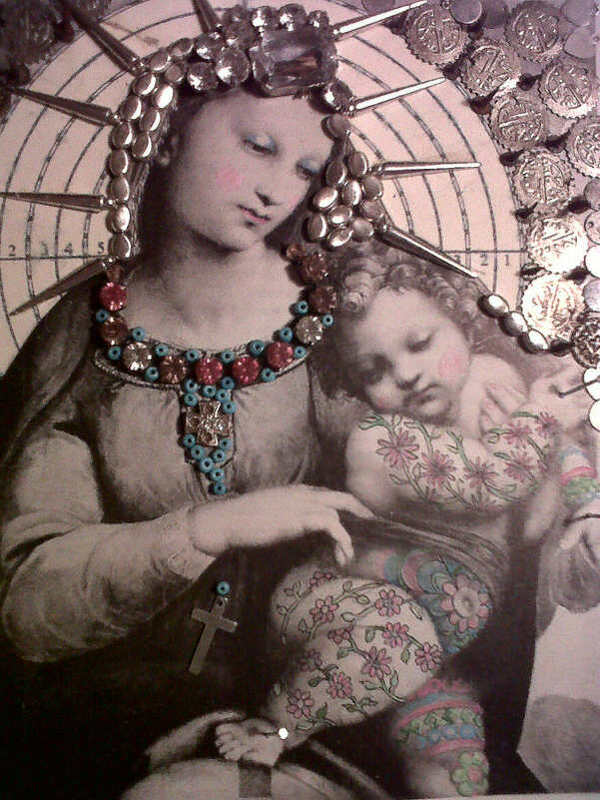 Abuse, I symbolized by 'tattooing up' baby Jesus & embellishing stigmata with nails & jewels. Corruption is depicted by the backdrop of coins in some of my work.